The Ed. 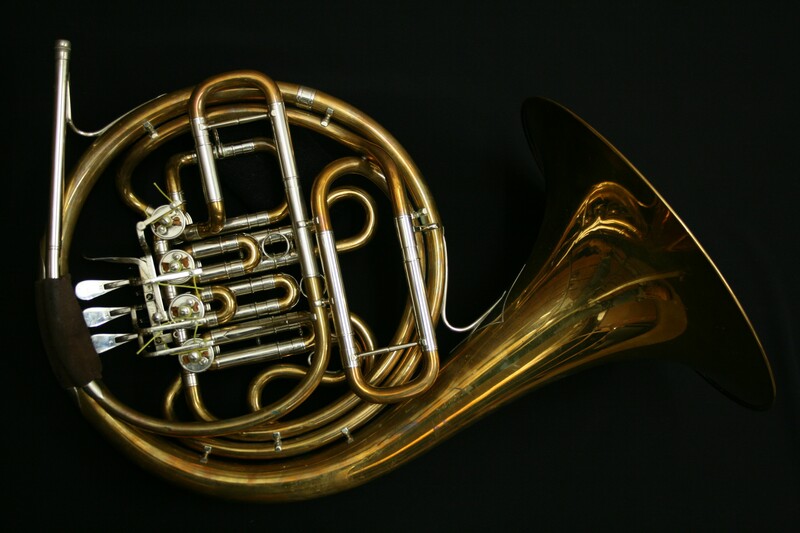 Kruspe brass instrument making company started way back in 1834 and is still making horns today. This Kruspe compensating double dates from 2004. 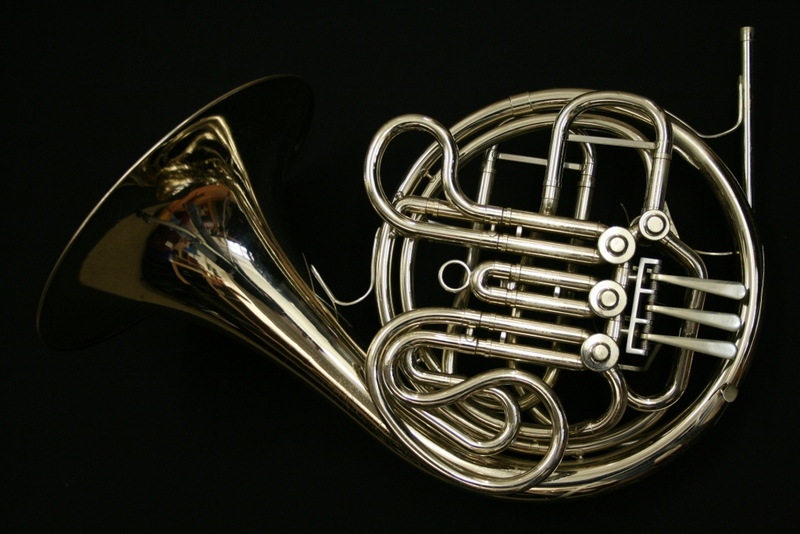 With a beautiful rich sound in part created by the combination of gold brass and the medium/large size bell. 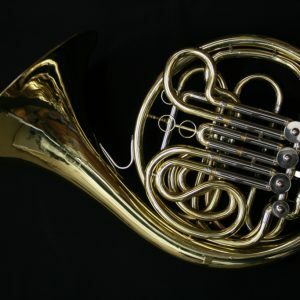 This is a stunning handmade instrument with a fixed bell made in one piece with a single seam and made using a hand hammered technique. 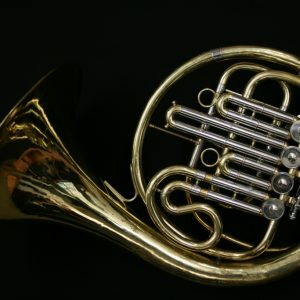 This instrument is unlacquered and in extremely good condition with the only signs of wear being some dents which will be repaired prior to sale. Lightness is always a benefit of playing a compensating double and this will make a lovely instrument for an adult amateur or professional player. 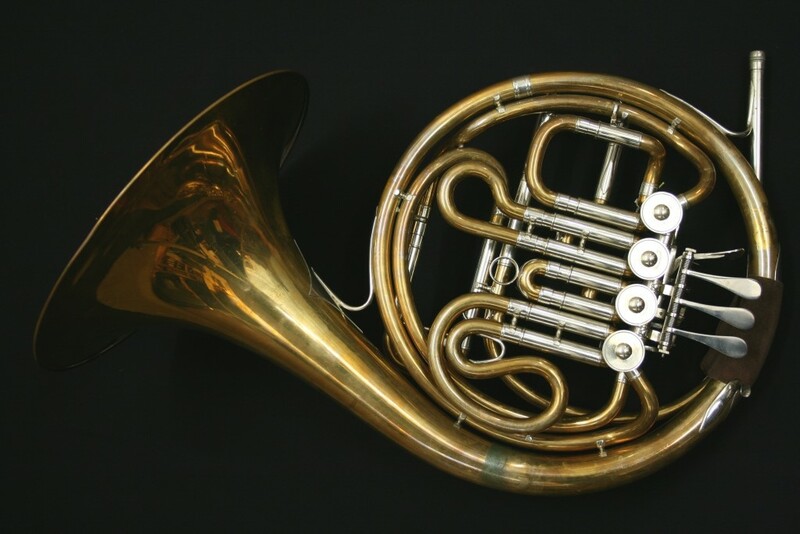 This instrument comes with the original fixed bell fiberglass case.